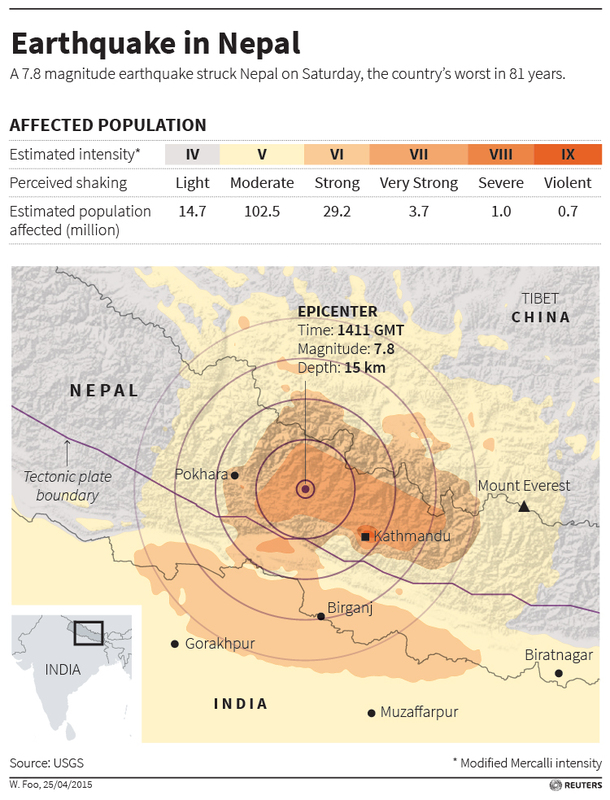 Two converging tectonic plates, the India plate and the overriding Eurasia plate, caused a major earthquake in Nepal on Saturday leaving over 1,300 people dead. The 7.9 magnitude earthquake was centered 80 km east of Pokhara. Most of the lives were taken due to collapse of old buildings while a number of mountaineers and Sherpa have been reported dead at Mount Everest, the world’s highest mountain, due to avalanches that were caused by the earth quake. Tremors were also felt in India, Bangladesh, China and Pakistan. Here is a video of Nepal earthquake that was caught on a CCTV camera.